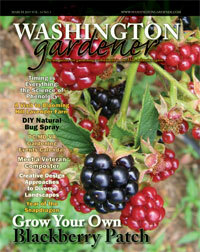 WashingtonGardener: Lemon Boy Wins by 1 Vote! Lemon Boy Wins by 1 Vote! 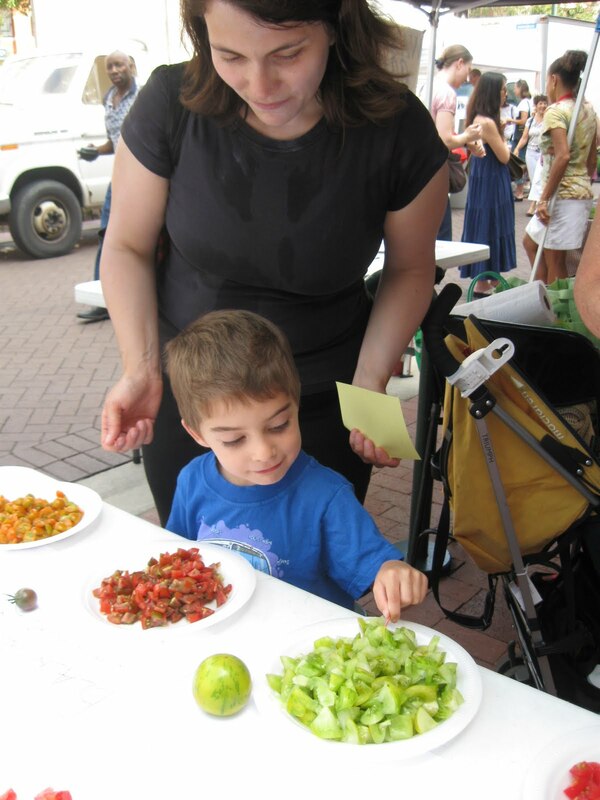 A HUGE thanks to the Montgomery County Master Gardeners, not only for donating some of their homegrown produce for the taste, but also for helping me field tomato growing questions from the crowd and for their excellent knife skills in cutting up 20+ pounds of tomatoes. Also thanks to FreshFarm Markets for hosting our taste once again and for providing three prize packs for our random drawing at the end of the taste. You can see more photos from the taste at our Facebook page: http://www.facebook.com/WashingtonGardenerMagazine. I have just tallied those taste voters who wrote their city on the ballots. (About 2/3rds of the voters filled out their contact information.) 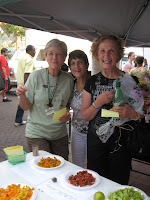 Truly amazing how far away some came to visit the market and wonderful to know! From close-by Maryland suburbs: Silver Spring with 64, Burtonsville had 3, Takoma Park, 5, Hyattsville 1, Kensington 1, and Wheaton 1. Washington, DC with just 4 voters was the surprise to me. Afterall, the DC border is less than a mile from this market. From a bit farther away, but within our coverage area: Arlington, VA had 2, Columbia, MD with 2, and Germantown, MD had 2. Gaithersburg, MD, North Bethesda, MD, North Potomac, MD, Potomac, MD, Walkersville, MD, and Laurel, MD all with 1 each. From over a two hour drive away, were: Ohio 1, New Jersey 2, deep southern Virginia 3, and West Virginia 1. Glad to have met you all! I didn't grow the Jolly this year but will give it a try next year since it was on your list! 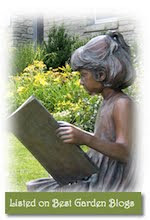 Great garden blog write up - thank you for inspiring to grow. Parade of Pond Passes - Pronto! 3rd Annual Tomato Tasting: Wear a Bib!